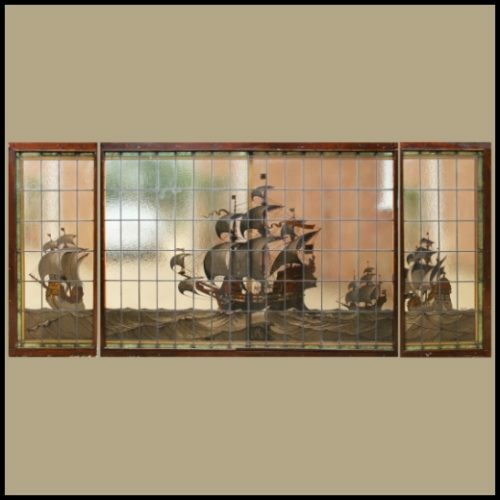 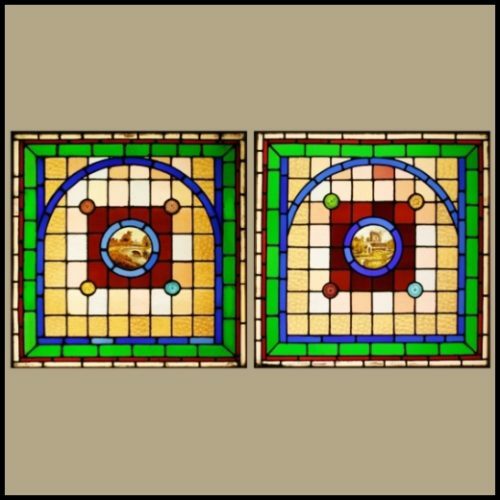 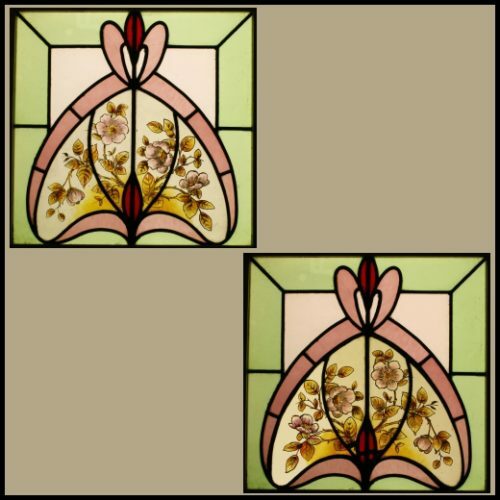 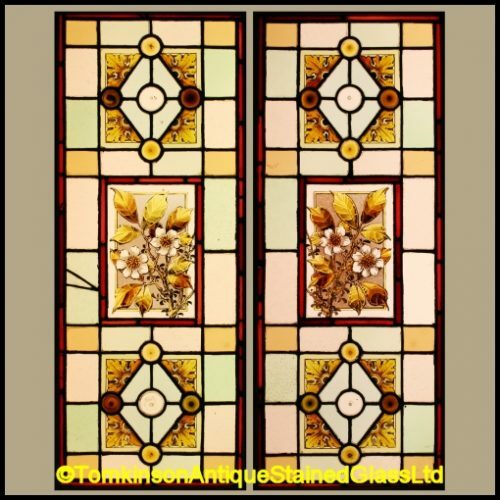 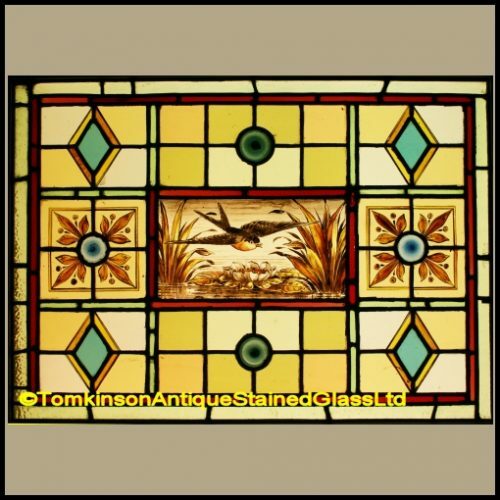 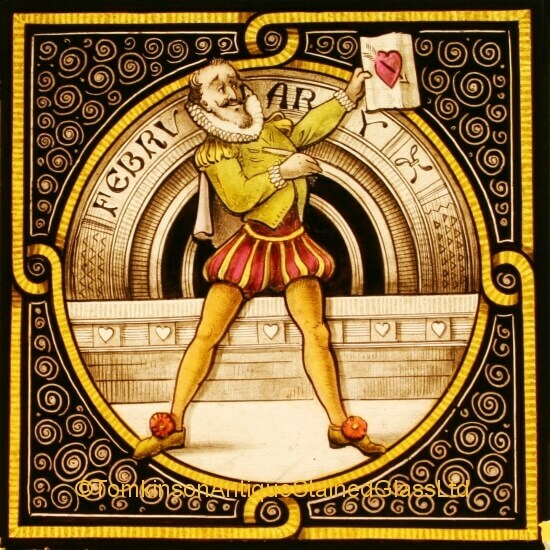 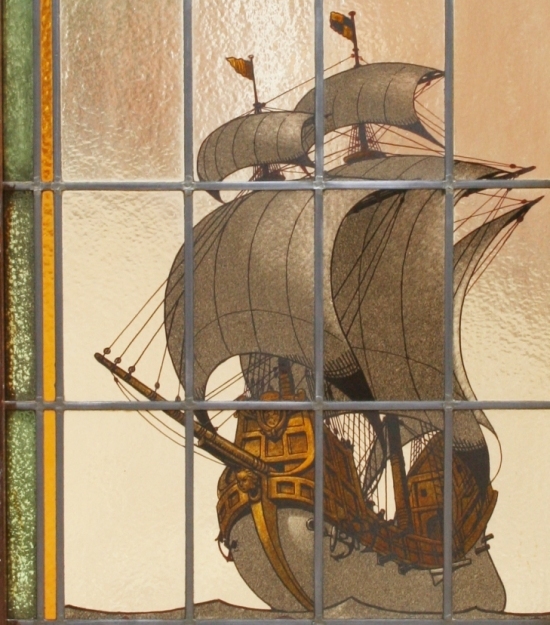 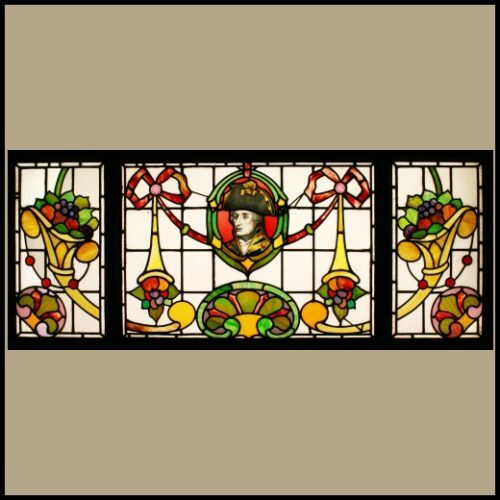 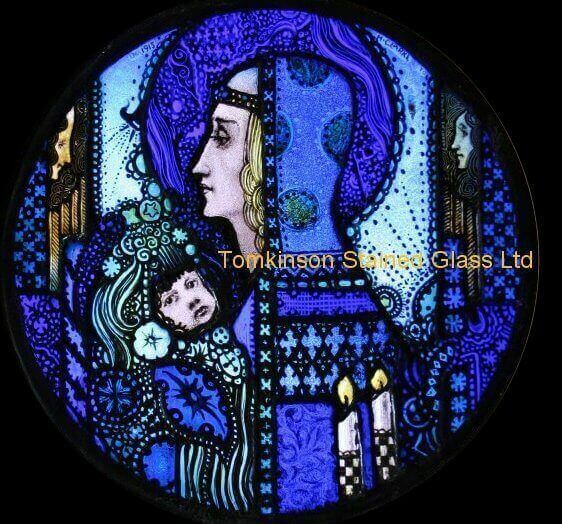 Set of 3 connecting continental stained glass windows, each leaded with obscure tinted yellow “Cathedral” glass and hand painted depicting Galleon ships on the sea. 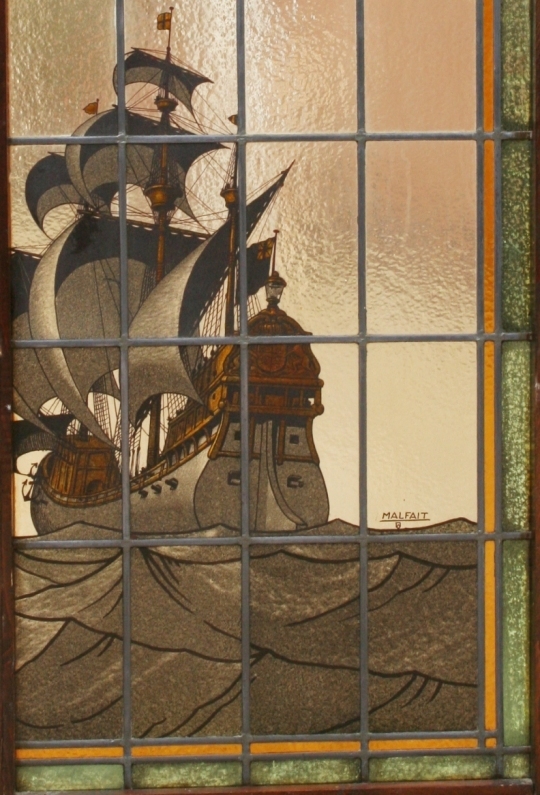 Signed “Malfait”. 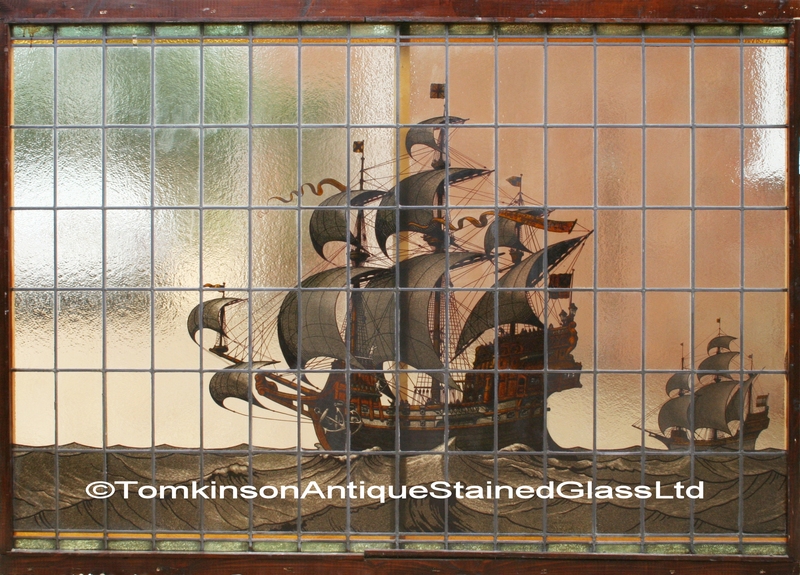 All are in excellent condition and in original pine frames.